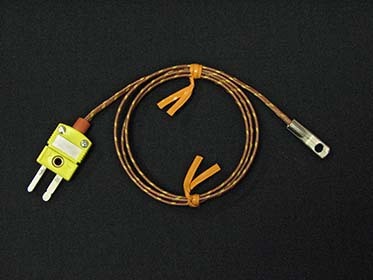 The TT-2 is a K-type thermocouple temperature probe. 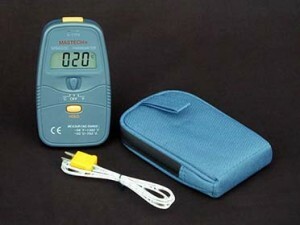 It can be used with the TT-1 temperature meter. The sensor tip has a flat mounting surface with a screw hole for attachment, and the wires angle up slightly from the mounting surface.